Arena League Round 1 Well done team! 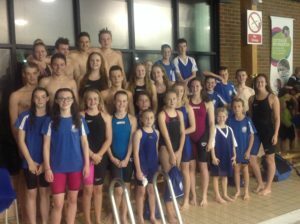 All the clubs had a great night, as we hosted the first round of the Arena League. Well done to the boys 15/u relay team: Charlie, Lewis, Will and Callum for doing the double and winning both the freestyle and medley relays by over half a length!! Also, well done to Charlie for winning the 15/u backstroke, Sam for winning the 200m IM and to Henry for stepping in at the last minute! Thank you, as always, to our fabulous team of helpers! Full results to follow.